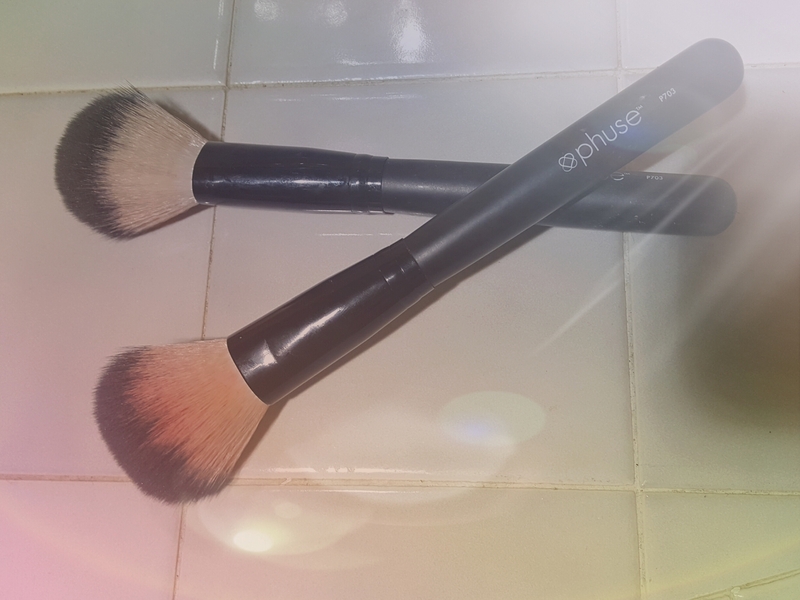 Makeup brushes need to be cleaned in order to avoid breakouts and infections. They are one of those products that are best to be used exclusively by you, and not shared with others, since that can lead to spreading of germs. Unless you are a makeup artist using brushes on clients, you should try to wash your brushes at least once a month. If used on clients, they need to be washed after each application. Here are steps to easily clean your brushes, in a way that keeps them in tip-top shape for a long time. 1. Gather all brushes that need to be cleaned, as well as a small container and cleaner, and take them into the place you plan on washing. 2. Fill small container with water and makeup brush cleaner. Run brushes under water to remove excess makeup on them, then swirl them one by one in the soap and water mix. Using a paper towel or lint-free towel dry each brush, while using the towel to reshape the bristles. 3. I have heard that it is best to hang brushes bristle side down to dry to avoid water dripping on handles and damaging overtime, but if that is not an option you can simply lay them on a flat surface to dry overnight. If you do want to try hanging them to dry, Sigma sells this pretty cool tower that not only allows you to hang them to dry but also shapes them.